simple skincare regimen that's gentle enough to use every day. You may be tempted to skip your cleansing routine when you're feeling sleepy, but night time is the most important time to wash away makeup and environmental pollutants. Follow these simple steps for a cleansing mask that helps keep blemishes at bay. 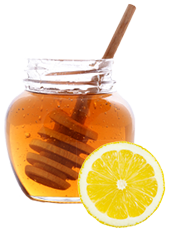 In a clean ceramic or glass bowl, combine honey with vinegar, juice or oil (if using). Using clean fingers, massage honey or the mixture over your whole face (avoiding the eyes). Allow to dry and become slightly tacky, and then pat and tap to get blood flowing to the surface of the skin. Remove with warm water. Rose-petal water lends flower power to Thayers Alcohol-Free Toner Rose Petal Hazel with Aloe Vera Formula. Featuring antioxidant-rich rosehip seed oil, Weleda Wild Rose Smoothing Day Cream helps fight the appearance of fine lines as it moisturizes. Crafted from the fruit of the rose plant, Aura Cacia Organic Rosehip Oil is a rejuvenating serum for mature or sun-damaged skin. This gentle toner balances skin without over-drying. 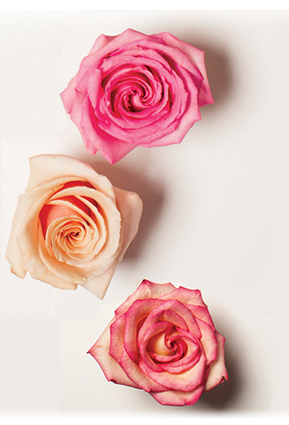 Add it to your cleansing routine and enjoy the uplifting scent of roses. Peach kernel oil and antioxidant-rich rosehip seed oil help retain moisture and fight the appearance of fine lines. Apply after cleansing and toning. Suitable for use under makeup. This rejuvenating oil delivers antioxidants to support mature or sun-damaged skin. Use as a facial serum, body oil or scalp oil. When it comes to acne-prone skin, little choices can make a big difference! Keep these tips in mind as you’re shopping the skin care aisle. Look for soothing botanical ingredients, such as aloe and calendula. Choose products with salicylic acid to help prevent clogged pores. 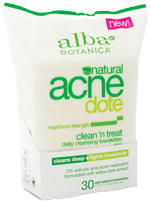 AcneDote Maximum Strength Clean n' Treat Daily Cleaning Towelettes stop acne before it starts! These convenient wipes contain maximum-strength salicylic acid to support healthy pores. Banish blemishes with a fast-acting gel that delivers maximum-strength salicylic acid derived from willow bark extract. Gently remove dirt and oil without over drying. Teens Love the convenient pump. Parents Love that it meets our Premium Body Care standards. Organic sugar provides mild exfoliation. Teens Love the tropical scent of virgin coconut oil. Parents Love the fair trade focus. Organic witch hazel to reduce excess oil. Teens Love the shine control. Parents Love that it's alcohol-free. Restore moisture with mango seed butter, argan oil and carrot extract. Teens love the fact that it absorbs quickly. Parents love that it's paraben free.